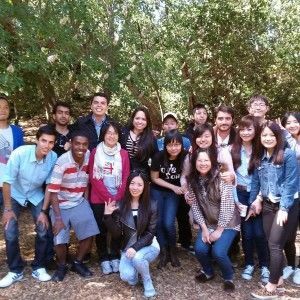 In TALK English School San Francisco our students enjoy their time at school and also outside the school. 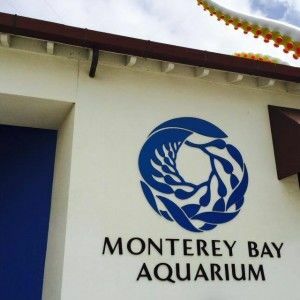 Besides the Golden Gate Bridge there are many other great California sites to visit. However the first destination our students always want to visit is the Golden Gate Bridge! TALK San Francisco students visit the Golden Gate Bridge. Read on to hear about some of the exciting activities! 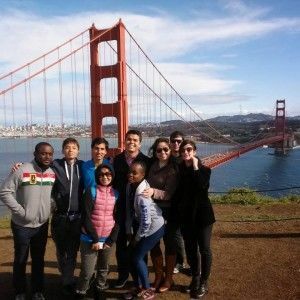 TALK San Francisco gives students the chance to perfect their English Language as they do some touristic activities around the city. The Golden Gate Bridge is a must stop for anyone who visits San Francisco! Golden Gate Bridge connects San Francisco to California’s northern counties. It has appeared in numerous Hollywood movies like Rise of the Planet of the a Apes (2011) X-Men: The last Stand(2006) and Star Trek (2009) making it a popular international attraction. Who’s your favorite X-man? Just FYI mine Mystique. The best way to enjoy the immensity of the Bridge is walking across it. It takes a little bit more than 45 minutes to get to the other end but it is worth it, the view in a clear day is just wonderful. Also, you can rent a bike or bring your own and ride across the bridge!